Thomas WHITEHEAD was born about 1801 in , , North Carolina. Thomas married Mary CONOY about 1822 in , , North Carolina. Mary CONOY was born about 1800 in , , North Carolina. Mary married Thomas WHITEHEAD about 1822 in , , North Carolina. F i Martha Elizabeth "Bell" WHITEHEAD was born on 11 Nov 1826. She died on 31 Dec 1885. Edward Eugene "Eddie" MC KINSEY [Parents] was born on 11 Jul 1947 in Ada, Pontotoc, Oklahoma. Edward married Karen Sue DUNCAN on 17 Apr 1970. Karen Sue DUNCAN [Parents]. Karen married Edward Eugene "Eddie" MC KINSEY on 17 Apr 1970. F i Tricia Lynette MC KINSEY was born on 24 Jun 1971. Bill AUSTIN. Bill married Amanda WALLACE. Amanda WALLACE. Amanda married Bill AUSTIN. F i Effie C. AUSTIN was born on 28 Oct 1885. She died on 3 May 1957. Hizer Francis ROBERTS [Parents] was born on 2 Mar 1864 in , Putnam, Tennessee. He died on 2 Dec 1929 in Herren's Chapell, Putnam, Tennessee. He was buried in New Home Cemetery, Boma, Putnam, Tennessee. Hizer married Angeline Samantha "Sis" KIRKLIN on 20 Jul 1893. Angeline Samantha "Sis" KIRKLIN was born in Jan 1868 in Boma, Putnam, Tennessee. She died about 1906. Angeline married Hizer Francis ROBERTS on 20 Jul 1893. F i Pearl Ann "Pearlie" ROBERTS was born on 30 Aug 1894. She died on 8 Jan 1957. M ii Richard Joseph "Little Joe" ROBERTS "Sr" was born on 10 Mar 1897. He died on 3 Nov 1927. F iii Dora Catherine "Dorie" ROBERTS was born on 13 Sep 1903. She died on 31 Aug 1966. Hizer Francis ROBERTS [Parents] was born on 2 Mar 1864 in , Putnam, Tennessee. He died on 2 Dec 1929 in Herren's Chapell, Putnam, Tennessee. He was buried in New Home Cemetery, Boma, Putnam, Tennessee. Hizer married Mary Jane "Mollie" FARMER on 13 Apr 1913 in , Putnam, Tennessee. Mary Jane "Mollie" FARMER [Parents] was born on 27 Nov 1872 in , , Tennessee. She died on 4 Mar 1921 in , Putnam, Tennessee. She was buried in Palmer Cemetery, Silver Point, Putnam, Tennessee. Mary married Hizer Francis ROBERTS on 13 Apr 1913 in , Putnam, Tennessee. Hizer Francis ROBERTS [Parents] was born on 2 Mar 1864 in , Putnam, Tennessee. He died on 2 Dec 1929 in Herren's Chapell, Putnam, Tennessee. He was buried in New Home Cemetery, Boma, Putnam, Tennessee. Hizer married Mary Martha HANCOCK on 4 Jun 1922 in , Putnam, Tennessee. Mary Martha HANCOCK [Parents] was born on 18 Jan 1905 in , Putnam, Tennessee. She died on 14 Jan 1986 in , Putnam, Tennessee. She was buried in New Home Cemetery, Putnam, Tennessee. Mary married Hizer Francis ROBERTS on 4 Jun 1922 in , Putnam, Tennessee. F i Lucy Ardell ROBERETS was born on 14 Mar 1921. She died on 31 Mar 1993. F ii Lola Esteleen ROBERTS was born on 8 Feb 1923. She died on 31 Dec 2010. F iii Bertie Mae ROBERTS Clemmons Armstrong was born on 28 Jul 1925. She died on 25 Dec 2005. M iv Manuel W. ROBERTS was born on 12 Feb 1927. He died on 29 Oct 1995. F v Lena Lois ROBERTS was born on 20 Oct 1929. She died on 2 Feb 2010. Pauline Irene ROBERTS was born about 1931 in , , Tennessee. She died on 5 Jul 1999 in Pickens East, South Carolina. Reuben HANCOCK was born on 15 Feb 1872. He died on 9 Oct 1949 in Buffalo Valley, Putnam, Tennessee. He was buried in Smellage Cemetery, Boma, Putnam, Tennessee. Reuben married Nancy Alice WHITEHEAD. Nancy Alice WHITEHEAD was born on 6 Jan 1877. She died on 11 Mar 1961 in At her home, Silver Point, Putnam, Tennessee. She was buried in New Home Baptist Cemetery, Boma, Putnam, Tennessee. Nancy married Reuben HANCOCK. F i Mary Martha HANCOCK was born on 18 Jan 1905. She died on 14 Jan 1986. William Berry FARMER was born on 18 Nov 1837 in Liberty, De Kalb, Tennessee. He died on 19 Jun 1913 in Liberty, De Kalb, Tennessee. William married Emily M. SCOTT in 1867 in , , Tennessee. Emily M. SCOTT was born in 1843 in , , Tennessee. She died in 1913 in Liberty, De Kalb, Tennessee. 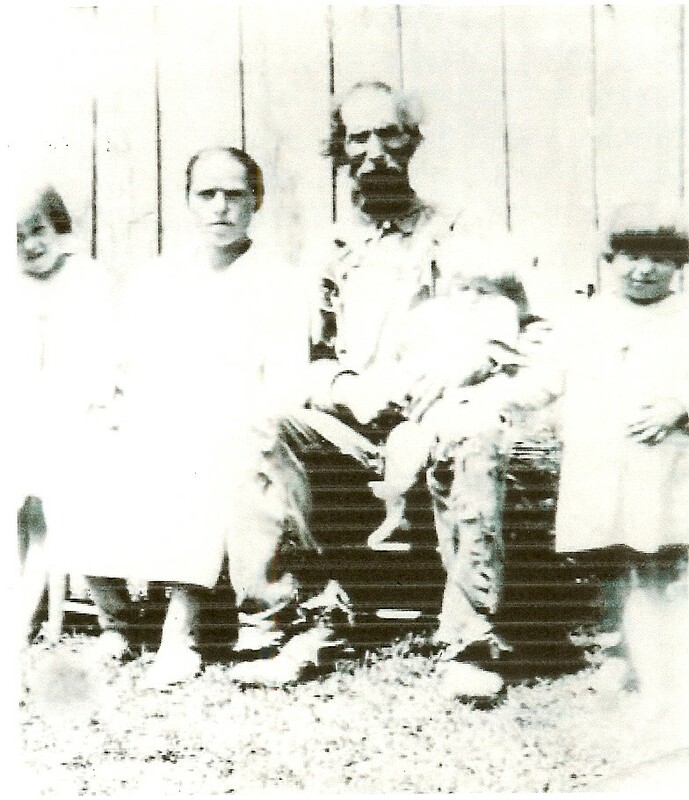 Emily married William Berry FARMER in 1867 in , , Tennessee. F i Mary Jane "Mollie" FARMER was born on 27 Nov 1872. She died on 4 Mar 1921. George CHANDLER was born about 1699 in Chichester, Chester, Pennsylvania. He died on 25 Jun 1761 in Kennet, Chester, Pennsylvania. George married Elizabeth "Esther" TAYLOR. Elizabeth "Esther" TAYLOR was born about 1700. She died in , Chester, Pennsylvania. Elizabeth married George CHANDLER. M i Stephen CHANDLER was born in 1740. He died on 26 Jul 1824. James William MC MINN [Parents]. James married Luella GEORGE. Luella GEORGE. Luella married James William MC MINN.
M i George F. MC MINN was born in 1915. He died in 1991.